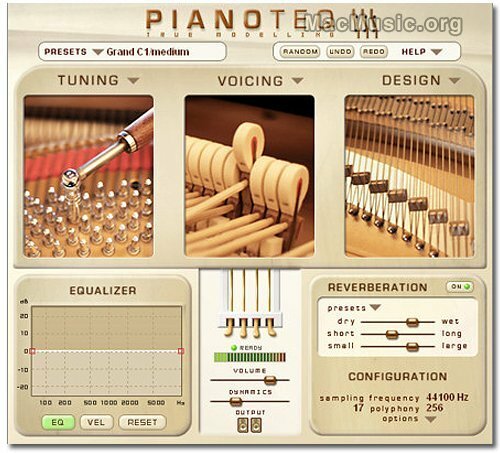 Modartt has updated Pianoteq to v2.0.1. This update offers multi-core rendering, which vastly improves CPU performance on dual-core and hyper threaded Pentium 4, and Receptor compatibility. - Stand-alone: output channel selection for ASIO sound cards. - Stand-alone: fixed wav export bug. - Stand-alone: added 'clear menu' entry in the recent files menus. - Stand-alone: metronome volume now adjustable.